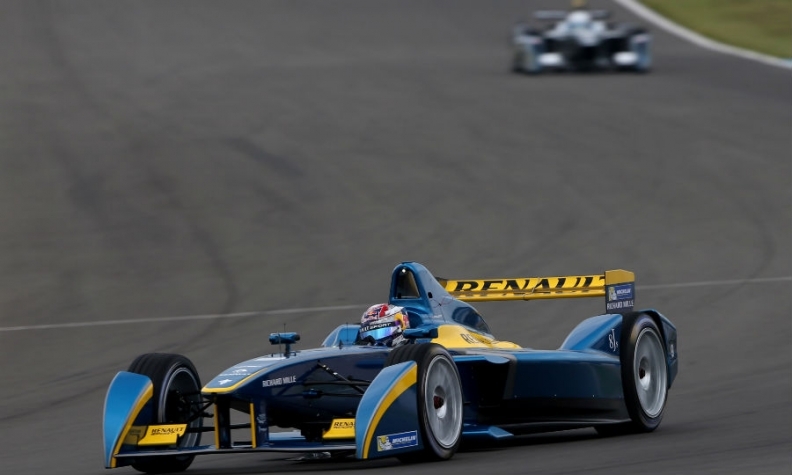 Renault's e.dams team has been Formula E champions for three years in a row. Nissan will become the first Japanese automaker competing in Formula E with an entry in the 2018/19 season of the electric car racing series, replacing alliance partner Renault. Renault will leave at the end of the 2017/18 season next July to focus on Formula One. The automaker's e.dams team has been Formula E champions for three years in a row. "After season four we will focus resources on our aggressive goals for Formula One and we look forward to continuing to gain benefits from motorsport racing across the alliance with Nissan," Renault executive Thierry Koskas said in a statement. Former Formula One champions Renault have their own works team but are also due to supply McLaren and Red Bull with power units next year. The French carmaker said it would work with Nissan to ensure a smooth transition. "To have a name like Nissan coming on board is a momentous day for the series," said Formula E chief executive Alejandro Agag in a separate statement. "It’s great to see our first Japanese manufacturer entering the frame, showing truly how global the electric revolution is. Japan is a country at the forefront of new technologies with one of the biggest followings of Formula E."
Manufacturers already involved in the electric series include BMW, Audi, Renault, Jaguar, Citroen and India's Mahindra. Mercedes and Porsche are due to arrive for season six, which is scheduled to start in 2019 and end in 2020.